The Barracuda Load Balancer ADC is ideal for organizations looking for a high-performance, yet cost-effective application delivery and security solution. The Barracuda Load Balancer ADC is ideal for organizations looking for a high-performance, yet cost-effective application delivery and security solution. 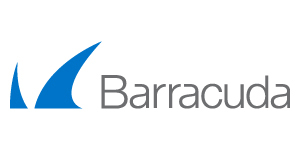 The Barracuda Load Balancer ADC provides maximum flexibility for organizations looking to build highly secure and scalable application infrastructure. Barracuda Load Balancer ADC has been the preferred solution for organizations looking to load balance and secure Microsoft applications. Certified configuration and deployment guides ensure organizations can quickly and easily scale out their Microsoft applications while also securing them against targeted attacks or unauthorized access.